Mathlink Cubes are an interactive and visual way to get to grips with mathematics. This hands-on manipulative can be used to teach a range of maths concepts to all ages. 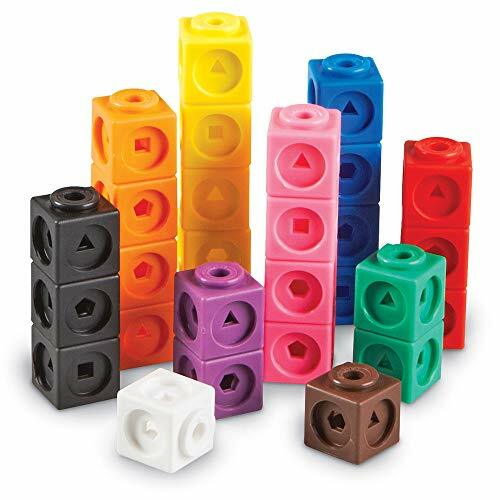 From lacing, counting and sorting, to multiplication division and area, these colourful cubes are a valuable maths tool from Reception Year to Key Stage 2. Each of cubes can be clinked together on all 6 sides, allowing it to be used as a pure construction toy too. The Set includes: 100 cubes measuring 2cm (10 cubes in 10 different colours) and a parent/teacher activity leaflet.